Photography is in the air and everyone these days is vying to buy a DSLR. If you are looking to click the perfect Facebook DP or capture awesome moments with your loved ones in full detail, then a DSLR is your best bet. Most of the high end DSLR cameras are very costly and out of reach of the casual photography enthusiast. But there is no need to lose hope yet. Looking at the latest trend and the speed at which photography clubs are cropping up, companies have introduces many low priced DSLR cameras for this new segment of photographers. 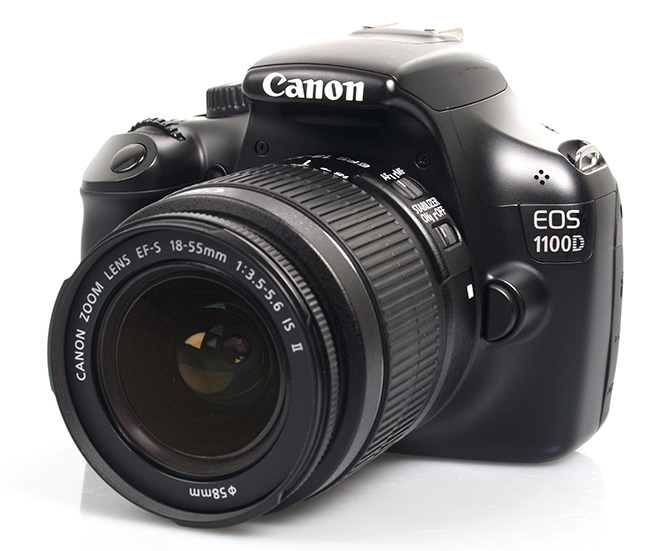 We list out the best low priced DSLRs available in India. The entry level DSLR from Canon is priced under 20,000 INR and comes loaded with many features. It has a 12.2 MP camera resolution. It has a 22.0 x 14.7 mm CMOS sensor with an image ratio of 3:2. It offers a maximum resolution of 4272 x 2848 pixels and has a DIGIC 4 processor. It has a 2.7 inch TFT color LCD interface. With a built-in retractable auto pop up flash, it has a maximum shutter speed of 1/4000 sec. It also has many shooting modes and metering settings for you to explore. The budget offering from Nikon is a winner in the low priced DSLR segment. Offering great value for money, it has a 15 MP camera resolution and offers HD video recording at 1920 x 1080 pixels at 24 fps. It has a CMOS sensor of size 23.1 x 15.4 mm and offers at image ratio of 3:2. With a maximum image resolution of 4608 x 3072 Pixels, it has an Expeed 2 Image Processing Engine.It has a 3.0 inch TFT LCD interface. With a Nikon F lens, it has Auto focus and manual focus with a focal length multiplier of 1.5. With a maximum shutter speed of 1/4000 sec, it can take continuous shots @ 3 FPS. With the highest camera resolution at 20.4 MP and an equally capable 23.2 x 15.4 mm Exmor APS HD CMOS sensor, the budget offering for Sony offers great image quality. It offers image ratio of 3:2 and 16:9 with a maximum resolution of 5456 x 3632 Pixels. It also has a 3.0 inch TFT LCD for camera interface. It has a Sony E-mount Lens with a focal length of 18-50 mm and offers a mamimux shutter speed of 1/4000 sec. As having a DSLR becomes more of a mandate, explore these budget offering from the leading camera manufacturers and bring out the photographer in you.